Smith Studio was built below the front of Boyden Studio in 1995 and was designed by Andreas von Foerster. 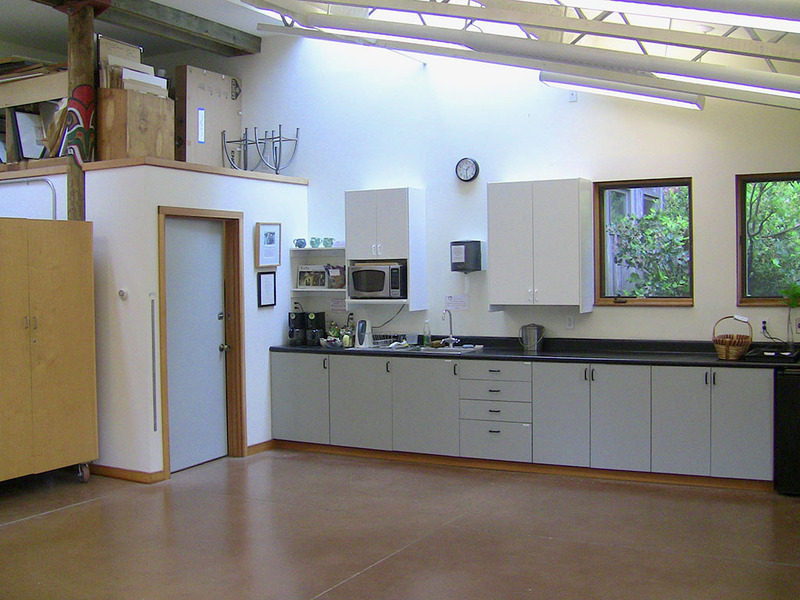 It houses Sitka’s Ray Trayle etching press and the studio functions as a professional grade printmaking facility. It was dedicated to Sitka’s former board president Del Smith and his wife, Bea in 1996. During construction, the old office space adjacent to Smith Studio was converted into an apartment. It is called Petterson Apartment, after Martha Petterson. 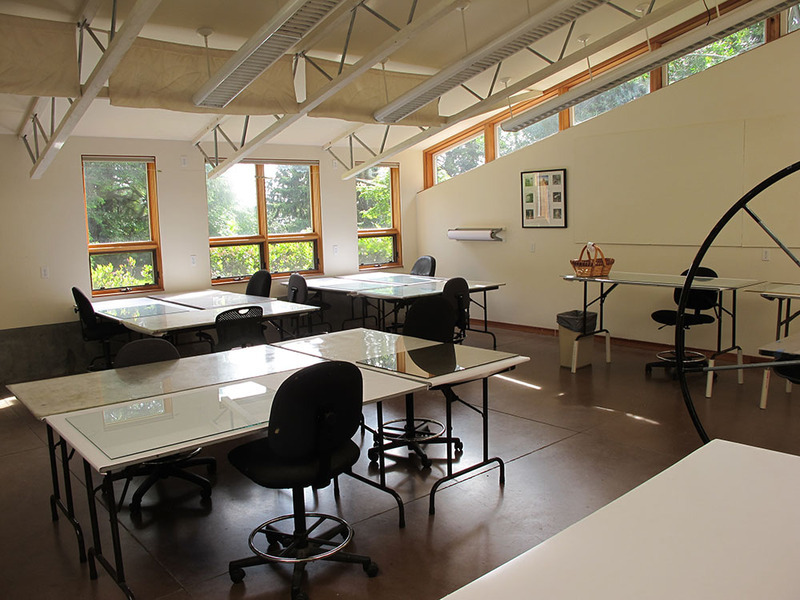 Smith Studio is approximately 800 square feet. 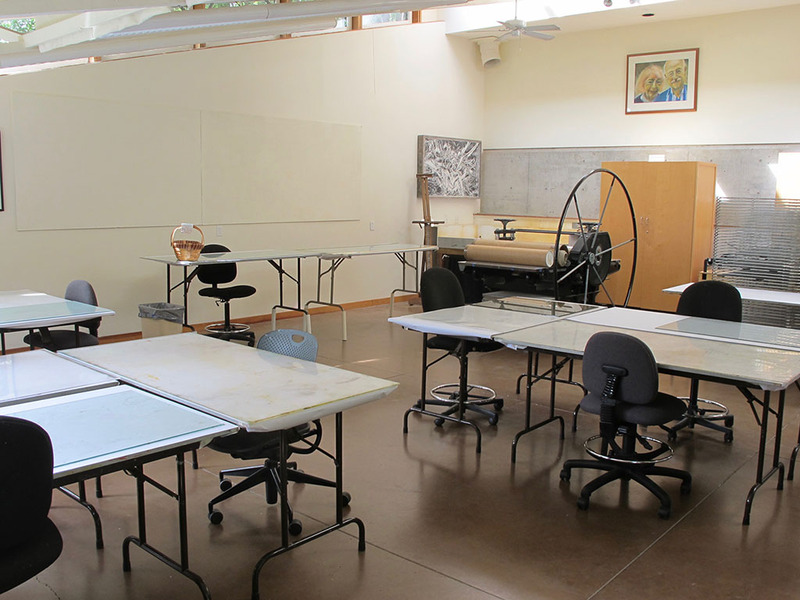 The large 3’ x 6’ etching press and another smaller press are housed in the Smith Studio. 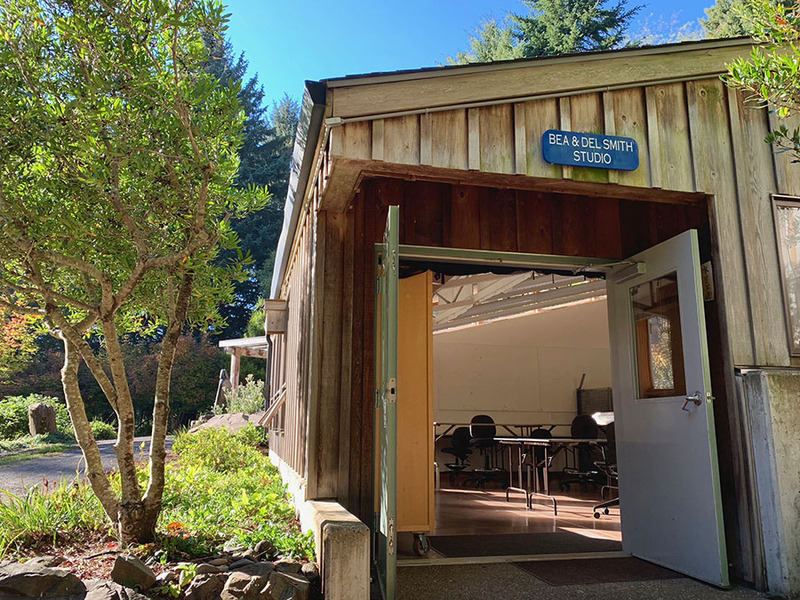 The studio has a cement floor with radiant heat, sink, and bathroom and enjoys the best natural light from southwestern windows and skylights.